Hazmat suits are bound to become a common sight as the zombie apocalypse approaches, and after the zombies do rise, you will see them on both humans and the undead. 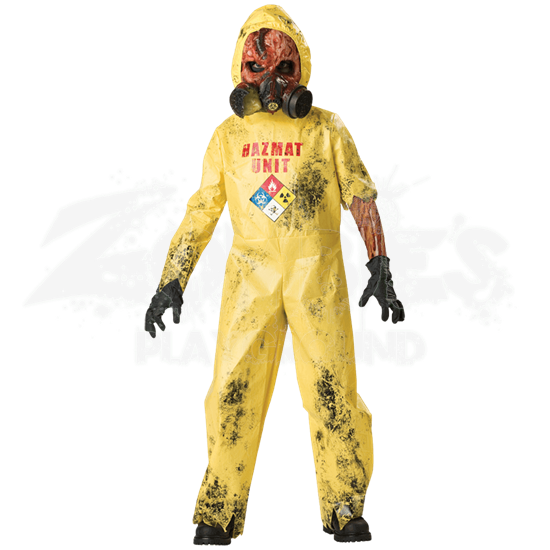 By name alone, you can recognize this Hazmat Hazard Boys Costume as a zombified one. This costume takes the form of a dirty hazmat suit that is bright yellow in color. Dark stains cover the suit in places, yet the HazMat logo on the chest is still readily apparent. The edges of the suit are frayed and tattered, and the costume includes black gloves to simulate the look of chemical-resistant accessories. Also included is a yellow hood to keep the head safe. Two more additions to the costume take it from hazmat to hazard, as the vinyl mask features a gas mask protrusion and a rather baked and boiled monstrous visage, while the mesh printed sleeve echoes that look, revealing bone and burned flesh just under the tatters of the hazmat jumpsuits torn sleeve. 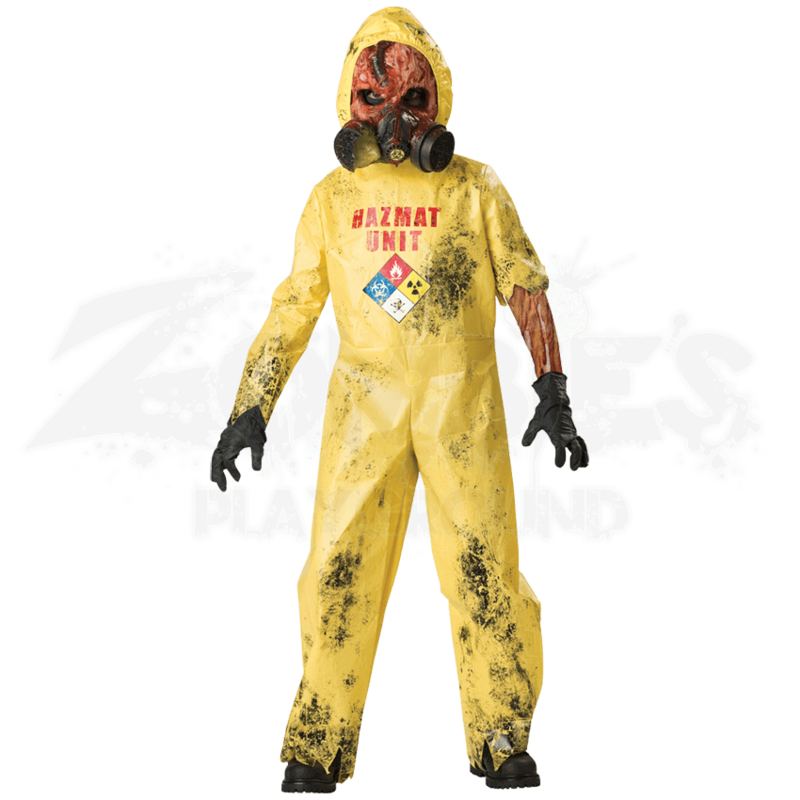 Startling in its appearance, this Hazmat Hazard Boys Costume is sinister addition to any group, as it will give even the most pint-sized zombie enthusiast a look that will have others running for the hills in fear of the oncoming zombie threat.